Great comic. Took me a second. The alt text, though… You don’t need to explain the joke that much, you know? I got it right away. Also, why the hell is it that in every goddamn comic of yours, armchair comedians like myself try to critique your work? Can’t we just be satisfied that you’re making funnies? Easy! Intellectual comic breeds intellectual audience. Intellectual audience notices these things and wants to either help or overshadow. It looks like it doesn’t yield information TO YOU. 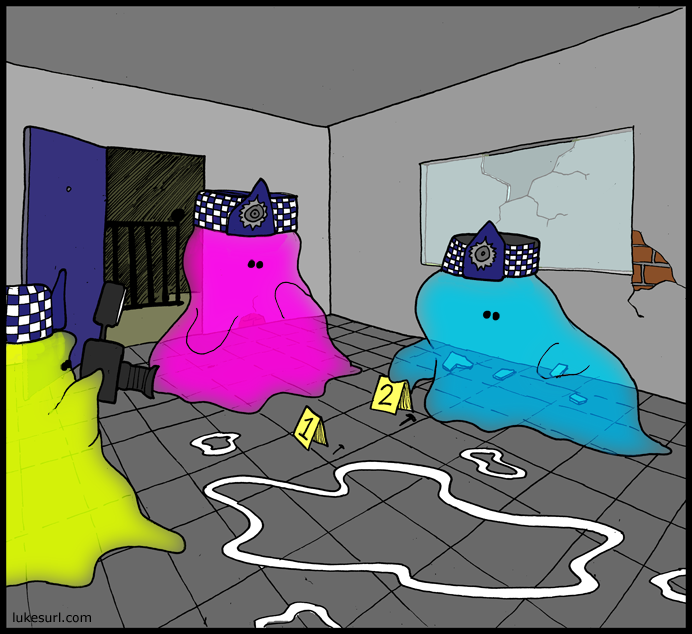 To these guys, slime distribution is much more interesting than mere appendages. Someone watched one too many cheap horror flicks!